Get your own downloadable copy of "The Lingraphica Certification Program" information sheet. 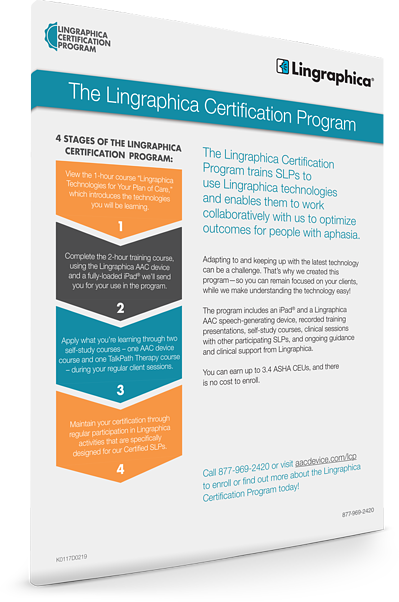 This sheet concisely lays out the program, its requirements, and the “program perks” of becoming certified in Lingraphica’s technologies. Complete the form below to receive yours today!